Apparently I've only posted about my various collections once before. I was under the impression that they had been brought up much more often, but I guess I was wrong. Well, if you follow me on Instagram, you'll already have seen the newest addition to one of my collections. 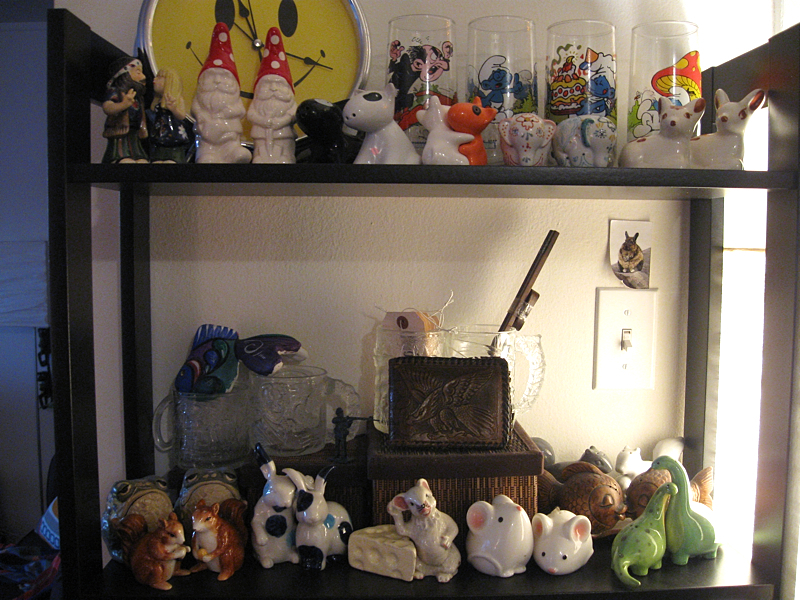 I started collecting salt and pepper shakers a few years ago, and the collection has been growing quickly since then. I even have a few vintage ones and some that have traveled from afar. The rest I've just been attracted to in passing. 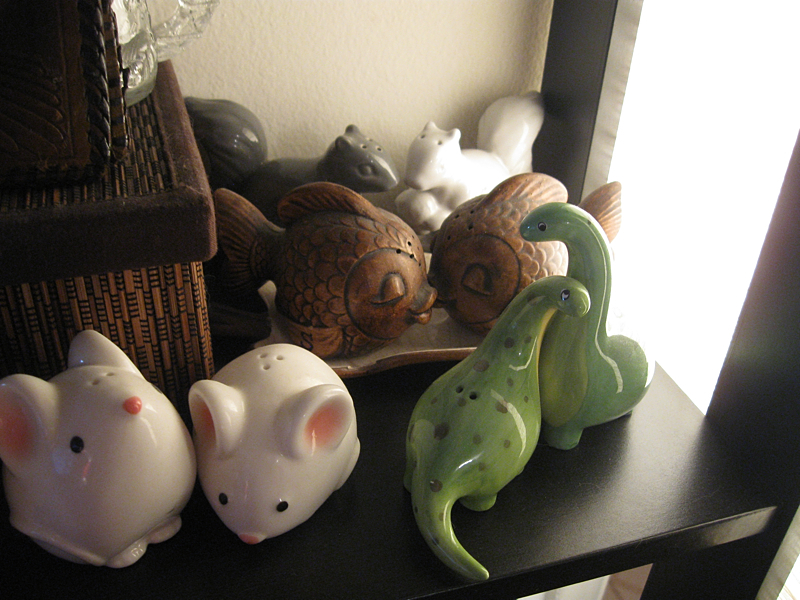 My salt and pepper shaker collection also ties into two of my other collections: elephants, and gnomes - I have shaker versions of both! The squirrels and elephants are my most recent finds. 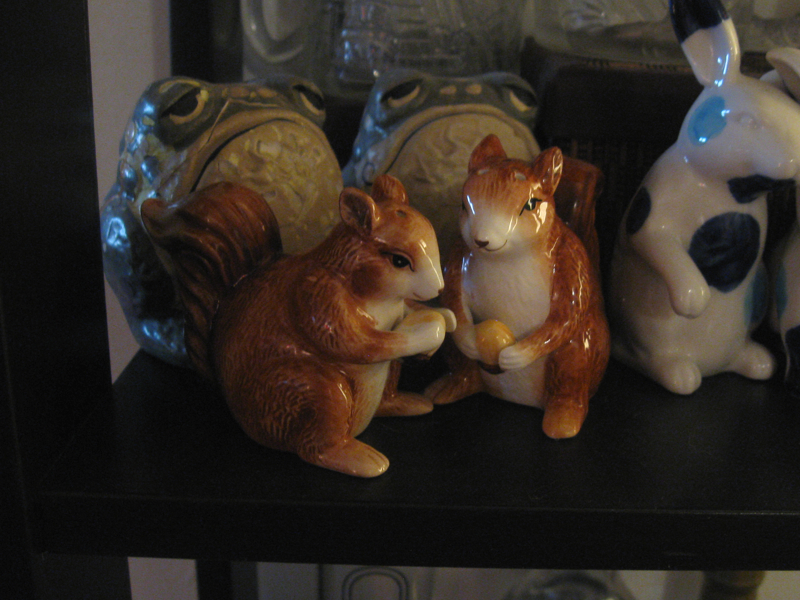 I walked past those squirrel shakers on my way home from the grocery store the other day, and it was love at first sight! I actually did a double-take and turned around to buy them. They look vintage, but they're not! 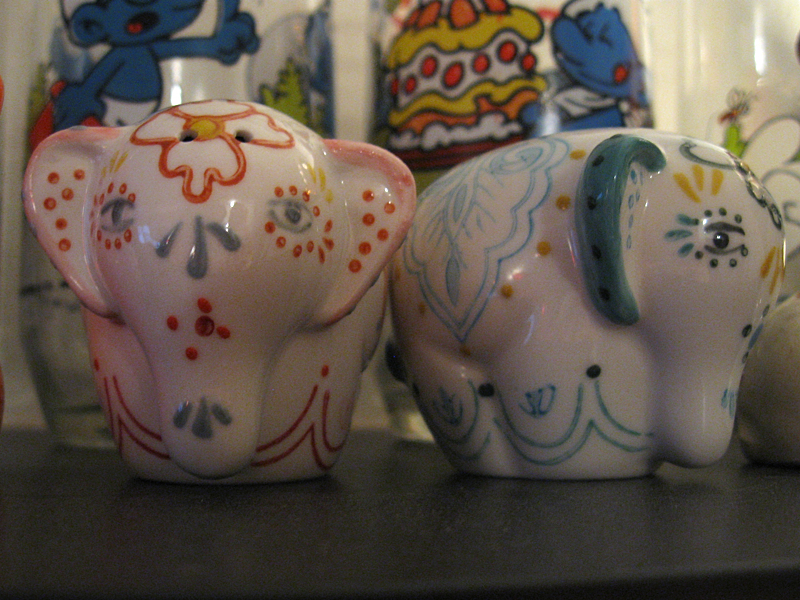 And the elephants are from Anthropologie; I just thought they were cute. Looks like I'm going to need more space if I find any more shakers though! I should post about my other collections, if you're interested. You can actually spot one of them in these photos - my smurf drinking glasses. Perhaps I'll work up some more posts like this one... I have a lot of collections! I think I love the dinosaurs the most! They're so cute!! My sister got them for my birthday last year - it was love at first sight!